The Province of Alicante is a great place to play golf, with fantastic weather and more than 18 courses to choose from it is easy to see why. But when you’re not hitting those balls on the golf course, what is there for you to do? 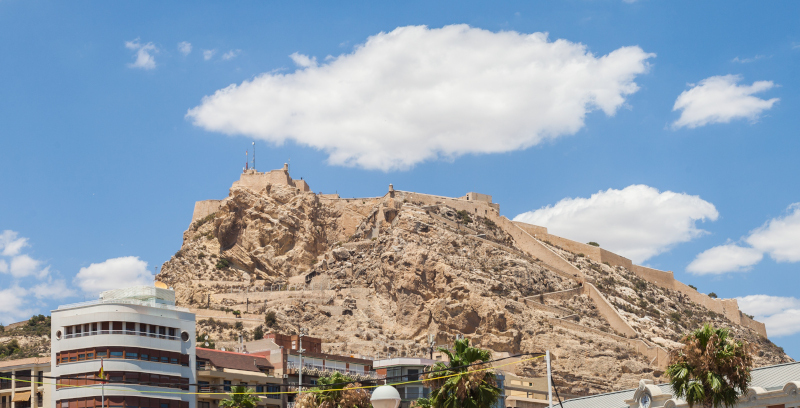 Alicante is a port city along the Costa Blanca and has lots of history, stunning beaches, huge plazas, magnificent parks, and lots of adventure, with the added bonus of lots of sunshine. Below we have picked what we think are the top 10 things to do there. Castillo de Santa Barbara is Alicante’s main emblem. Standing 166 metres above sea level, the majestic Santa Barbara Castle makes a stunning backdrop to the city centre. Dating back to the 9th century, this well-preserved castle stands on top of the Benacantil mountain and is one of the most popular tourist attractions. There are three main areas from different periods in time, dating from the 14th to the 18th century. Parking is on the lower level and from here you can walk up to the top or you can take the lift, which costs just 2.70 euros per person, free for young children and retired people. In the summer evenings, on Fridays and Saturdays Alicante council organises special concerts in the castle courtyard. They start at around 10pm so you can enjoy a star-lit, outdoor concert with the stunning castle as its backdrop. Entry to the castle is free, but you can pay for guided tours, which are 3 euros for adults, 1.50 euros for children. Decorated with over 6 million tricolour marble tiles forming a wave effect mosaic pattern, the Explanada de Espana is one of the most popular areas in Alicante. This colourful promenade runs from the busy Alicante Harbor, wraps itself around the coast and is a hive of activity both day and night. One of the most popular routes to follow in the city, the promenade is one of the best places to people watch. 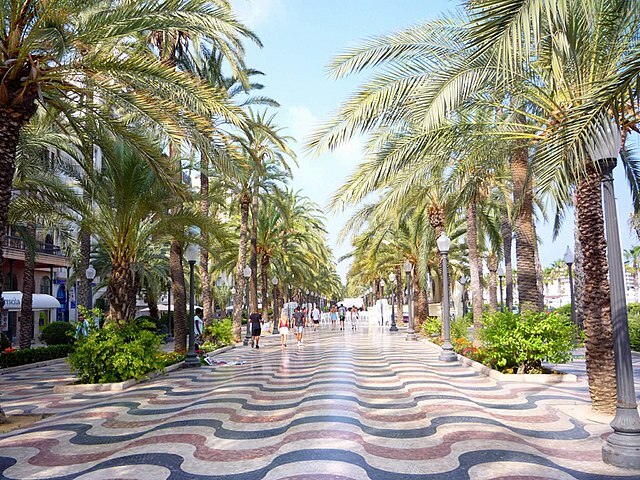 During the day the palm tree lined, tiled walkway is alive with vendors selling drinks, snacks and handmade souvenirs and the air is filled with traditional Spanish music being played by street performers. Continue to its far end to see a monument for local artist Mark Hersch. The evening brings a different atmosphere. The esplanade glows throughout the night with romantic lighting illuminating the walkway. In the summer a number of open-air concerts are organised in the music pavilion for all to enjoy. The Explanada de España can be reached by tram or foot from most areas of the city. Some parking is available in the area but this becomes difficult to find in the evening. Sprawled on the hillside just beneath the castle, Casco Antiguo, the historic old town, is the most charming place to both take a stroll or to just sit and watch the world go by while enjoying some local cuisine and tapas that’s served in the cafes and restaurants. Stretching between Rambla Mendez Nunez and Explanada de Espana and from Postiguet Beach to Mt Benacantil, the town is home to several art galleries, a convent and the 17 century Cathedral of St Nicholas of Bari. The imposing Alicante Town Hall with its twin towers, was built in the 18th century and is well worth a visit. Just inside there is a statue of Dali and just below it on the staircase is a disc that is used to measure the sea levels around Spain. The locals take great pride in their homes and town, painting their shutters in greens and blues and decorating their doorsteps and balconies with fresh flowers. Comfortable shoes are recommended to help you negotiate the steep streets and stairways that lay between the high whitewashed walls. 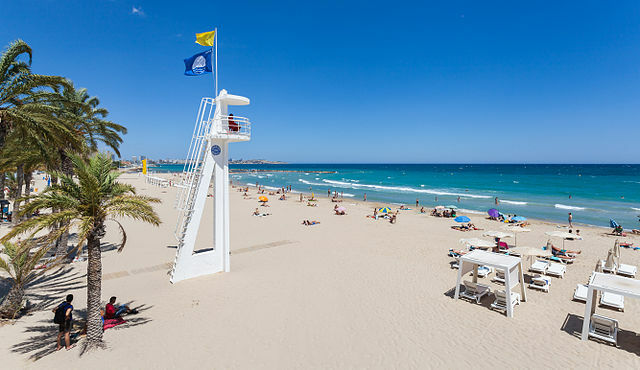 Playa del Postiguet beach is Alicante’s lively city beach. The 900m stretch of beach is located right in the centre of Alicante, at the foot of the Castillo de Santa Barbara and next to the Marina. It is clean, well looked after and has great facilities such as public toilets, foot showers, refreshment stands and ramps at every entrance meaning easy access for pushchairs and people with reduced mobility. It’s easy to see why this beach is great for families, with children’s play areas dotted about, fun paddle boating activities, emergency services and lifeguards that are present from the 15th June to the 15th October and at weekends from mid-October to the end of the year. On a hot day what better way is there to cool down than to take a boat trip. A boat trip is a memorable part to any holiday that suits all age groups. It’s where you can enjoy the Alicante coastline, explore coves, drop anchor to swim in the deep blue waters of the Mediterranean or simply sit back and enjoy views of the coast line and golden sandy beaches. Take a sleek catamaran around Altea where you can take in part of the Alicante coastline with it’s spectacular with little coves, steep cliffs, beaches and clear waters. Some excursions include dropping anchor so you can enjoy a quiet swim away from the beach and have a meal before heading back to port. Maybe a boat trip to see Calpes Ifach Rock is more you. Rising to 332 metres high, this natural park is home to hundreds of rare plants as well as wild animals and colonies of sea birds. Another boat trip available is a short hop across to Benidorm Island, also known as Peacock Island. It’s interesting to get a different view of Benidorm’s iconic skyscrapers from the sea as their metal and glass facades shimmer in the sunlight. Although there’s not much to do on the island itself, it’s a lovely 30-minute trip and you also get to go on the Aquario or Aquascope to see some of the marine life. Tabarca Island is sometimes described as one island, yet many at the same time as it is the largest island in a small group (Archipelago). 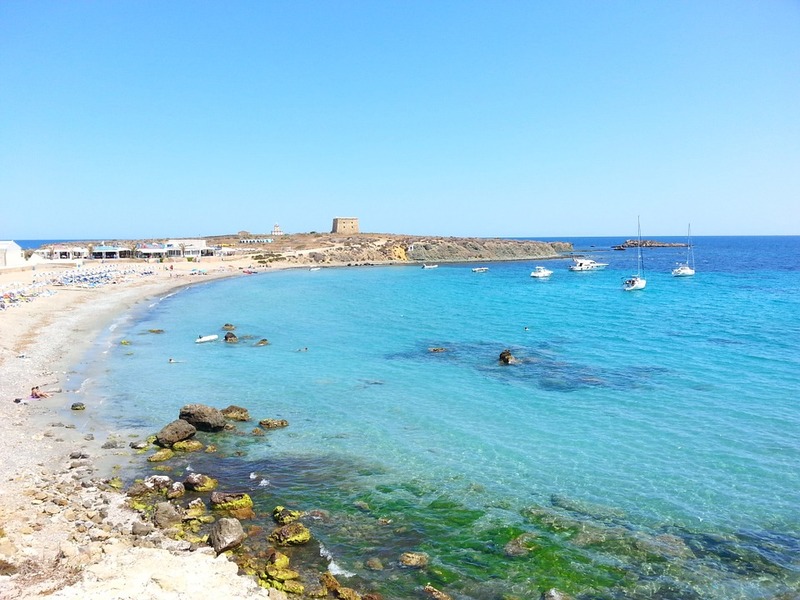 About 50 minutes by boat from Alicante, Tabarca Island is also known as Isla Plana or “Flat Island” due it being 1750 metres long and completely flat. The island is unique because it is the only island that is inhabited on the Alicante coast. The eastern end is populated by the village of Nova Tabarca, which homes a small population of 100 people, yet in stark contrast the western end is remote. So what can you do on the island? Scuba diving or snorkeling is very popular and you will get the chance to see the abundant marine life, or if you just fancy chilling, head to the beach for a sunbathe and why not try a bit of ‘cove jumping’. There are a number of great seafood restaurants, where you can sample some of the delicious food on offer. Afterwards take a stroll around the island taking in the historic buildings that have been left by the previous inhabitants, 18th century pirates closely followed by prisoners from Tunisia. MARQ museum was Created in 1932 and is dedicated to displaying its collection in a traditional way, as a collection of classified and cataloged finds. It was originally located on the ground floor of the Provincial Council building on Avenida de la Estación avenue in Alicante. It was transferred to the former site of the San Juan de Dios provincial hospital in 2002. By using modern audiovisual techniques, this visual and innovative museum allows visitors to enjoy an avant-garde approach to archaeology. The exhibits on show stretch from the Palaeolithic through to Contemporary Modern Culture, tracing the history of Alicante. 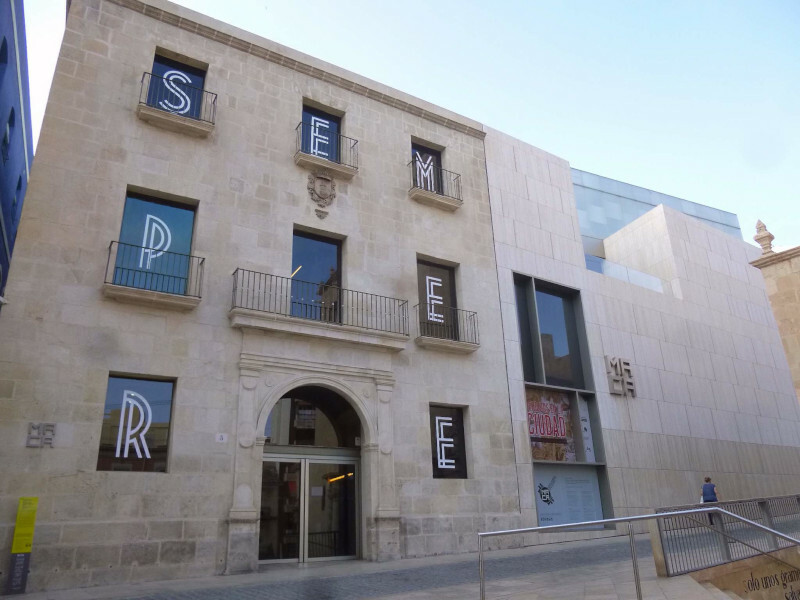 The Museo de Arte Contemporáneo de Alicante is a city museum in Alicante that exhibits 20th century and contemporary art. It is located in the oldest civil building remaining in the city, the Asegurada Building. Created in 1976 thanks to Eusebio Sempere and reopened in 2011 after a major renovation, the museum is now home to three permanent collections of about 800 pieces of art. The collections consist of a collection of 20th century art, including works by Pablo Picasso, Joan Miro, Salvador Dali, Julio Gonzalez and others. The Juana Frances Collection, paintings, sketches and other graphic work that was bequeathed to the city by the artist herself and was received upon her death in 1990. The Eusebio Sempere Collection consists of works from gouaches on paper to sculptures by the artist. The collection has been acquired by the city since 1997. Not all artworks from the collections are on display. Only one third of the Eusebio Sempere Collection is shown at a time with rotation every three to four months. The museum is open to the public, with free entry. 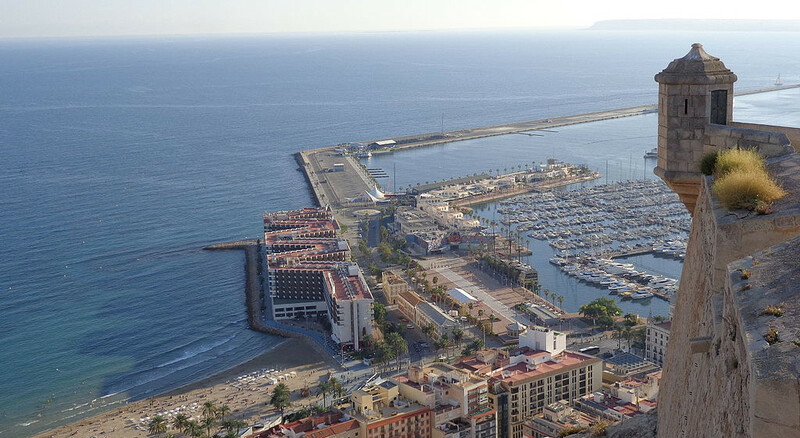 Alicante’s harbour is home to some of the city’s best restaurants and bars, with views along the cities Postiguet Beach. The Alicante Harbour is the first port of call for many visiting the area. Around 80,000 visitors disembark at the harbour from cruise ships, ferries and pleasure boats each year. During the day the harbour is busy with locals and visitors alike strolling along the colourful mosaic promenade in search of the perfect bar or restaurant serving local cuisine. As the sun sets, you can enjoy the party atmosphere with a cool drink and watch the sky change color as you gaze over the Mediterranean Sea. Numerous operators offer boat tours and charters from the marina. So why not arrange another day out while you there. Alicante Harbour is also surrounded by great beaches, just a 10-minute walk will lead you to beautiful, clean water and plenty of space to stretch out and top up that tan. 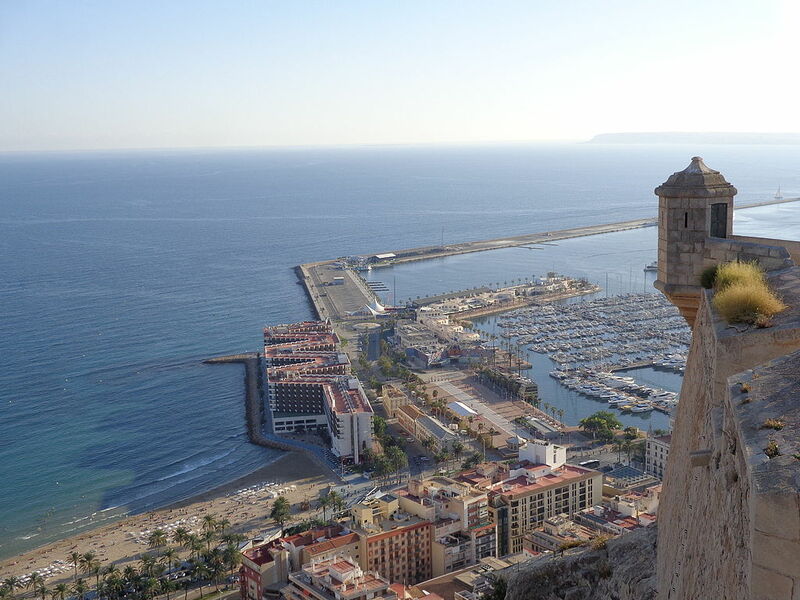 The city of Alicante is built around the marina with many of its main streets leading straight to the harbour. There is plenty of free car parking in the area and the harbor is open daily. So there you have it. 10 great alternative things to see and do while on your golf break here in Spain. If you are planning on booking a golfing holiday, why not check out our current range of affordable golf holidays in Alicante.